WILLEMSTAD - Many people dream about acquiring their own home or upgrading their current home in accordance with their stage of life. It’s a big step but the time is right to do it with a CIBC FirstCaribbean mortgage. A visit to the Mortgage experts of CIBC FirstCaribbean could make you one of the many Caribbean happy families that have made the move already to CIBC FirstCaribbean and profited from the favorable loan conditions offered by the bank. 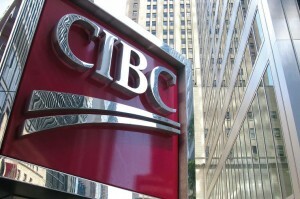 A CIBC FirstCaribbean pre-approved credit card with 5000 Rewards points. You benefit even more, through a US$ 3,000 refund, if you close your mortgage before May 16th, 2018. The CIBC FirstCaribbean Mortgage Specialists are standing by at the CIBC FirstCaribbean office at De Ruyterkade # 61 or can be reached at 433-8000. All you need to bring with you are an Employer’s letter, a taxation report, your last 3 statements of salary, and your last 3 bank statements.